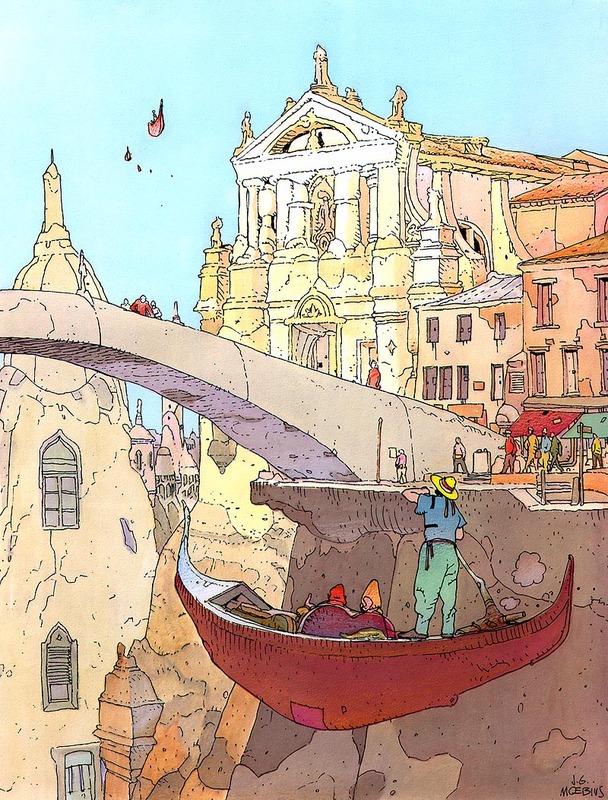 I couldn’t let the March 10 passing of French cartoonist/artist Jean Girard—who also drew under the pen names of Gir and Moebius—go by without commenting on his legacy. While it’s easy to overuse the word “visionary” when speaking about even the greatest of artists, it’s a very deserving description of Girard’s work. His science fiction/fantasy work offered windows into universes and realities that seemed complete in the artist’s mind and, more importantly, infused with the artist’s soul and personal sensibilities. He successfully presaged New Age styles and sensibilities and merged them with an earthy punk rock and, at times, Mad Magazine rock-and-roll sense of humor. 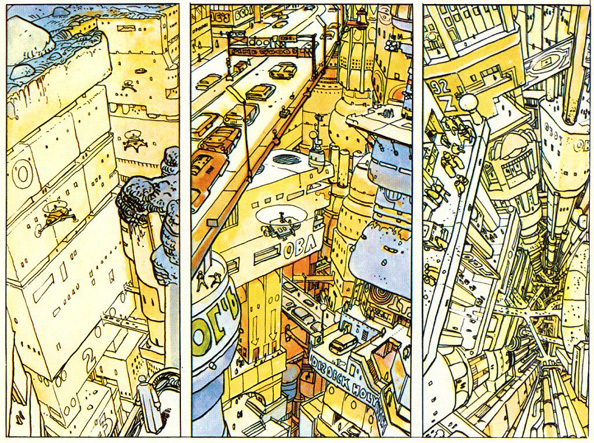 Without exaggeration, he is perhaps one of the most visionary, versatile and technically gifted artists to work in comics. 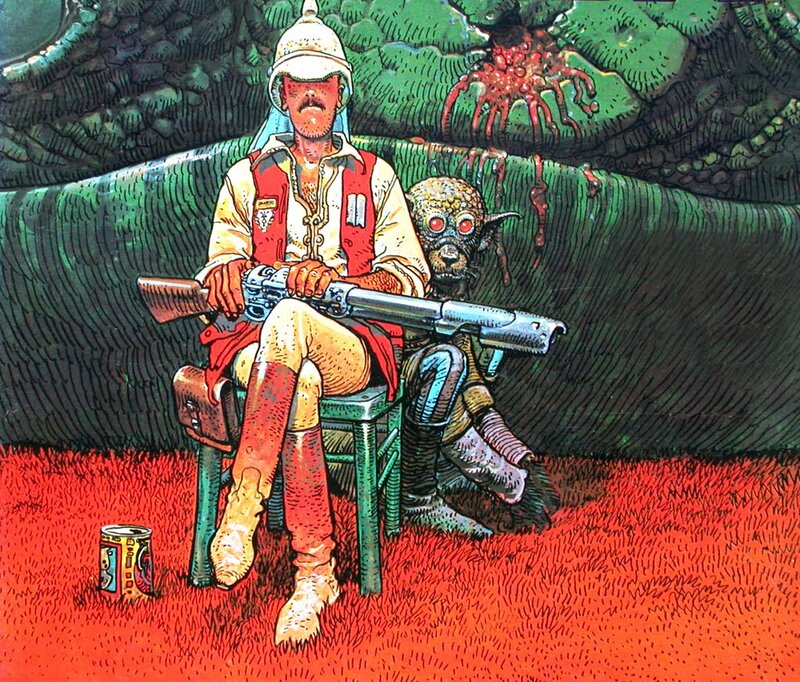 For those not familiar with his range of work, he began as a cartoonist of Westerns—for which he created the epic Lt. Blueberry series—and under his other pen name, Moebius, drew and wrote sf/fantasy comics and art illustrations, virtually polar opposite genres. 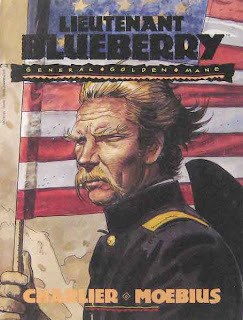 Like many of the most admired cartoonists, he was an “artist’s artist.” However, Girard differed, I think, from other “artist’s artists”—although other artists certainly admired and were inspired by him, few emulated him because he worked at a level and plane of talent few could dream to reach. He was a real one of a kind. Like a lot of European artists, he first became familiar to U.S. audiences through the pages of Heavy Metal, the American spin-off of the French anthology comics magazine, Metal Hurlant. It was there I discovered Girard when he first began making inroads in the U.S. I sometimes found his SF work a bit surreal and inscrutable (they could often be stream-of-consciousness), but being the action-and-adventure fan that I am, was blown away by the maturity and authenticity of his western work in Blueberry. 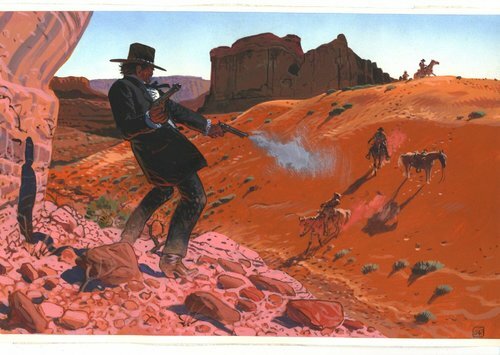 The stories that Girard and his writer/co-creator, scriptwriter Jean-Michel Charlier, did on that series easily compare in quality with iconic film western classics like Unforgiven and the Good, the Bad, and the Ugly. 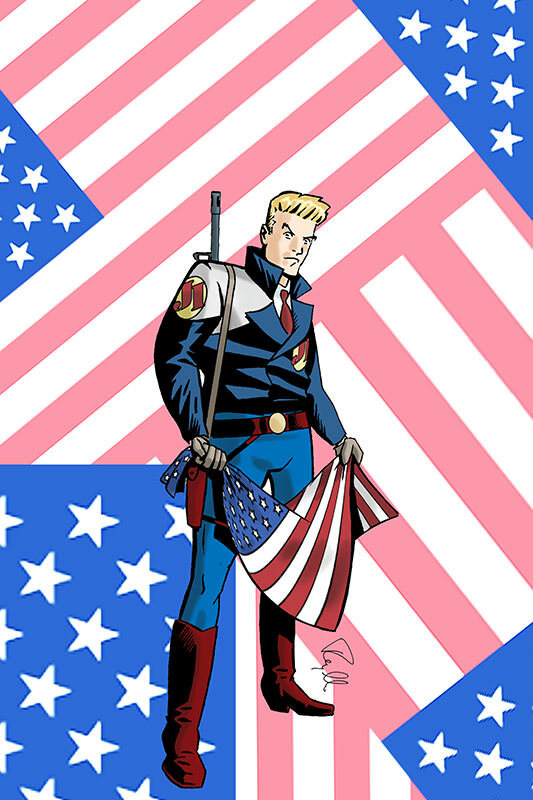 While Moebius did not do American work on a regular basis, he nevertheless was fairly visible back in the day, most notably doing a two-issue limited series of the Silver Surfer. His contributions and influence can also be seen in the conceptual work he’s done for Hollywood like Alien, Tron and the Fifth Element. In the last decade or so, Girard became less prolific, partly due to health issues. 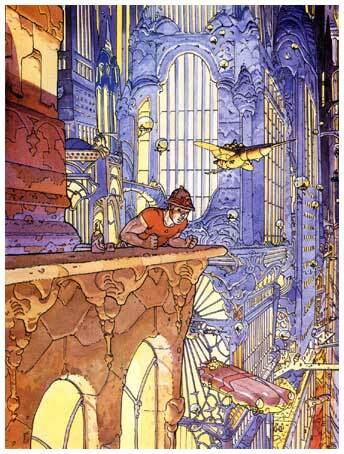 But his art remains timeless and represent a unique and visionary outlook.